I ended my review of Midnight Without a Moon, “With any luck, I may get the sequel ahead of time. If I do, I’ll be sure to share another review.” Well, there’s luck and there’s just plain old begging. 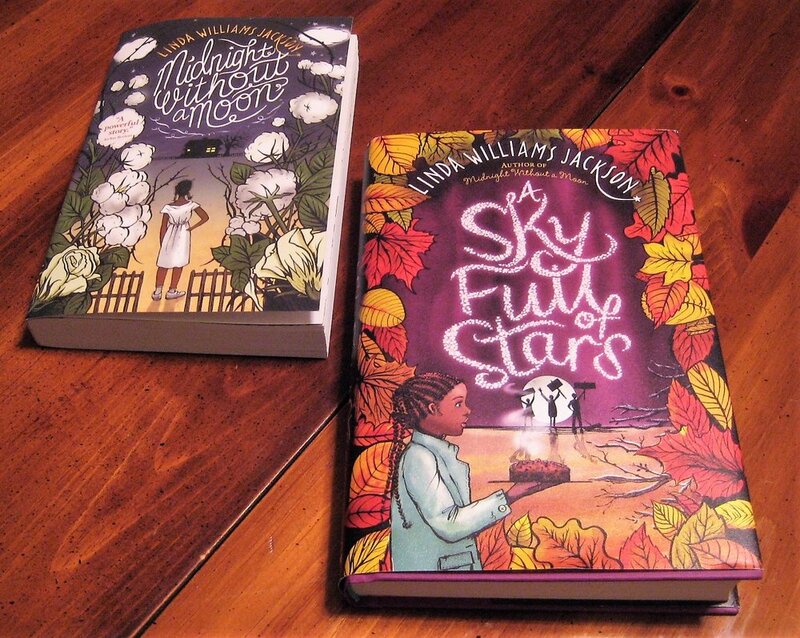 Linda Williams Jackson responded to my review of Midnight, and I responded to her by saying the book made me want to sit and talk to the author. First thing you know we are Facebook friends and then real face-to-face friends, connecting when she came to Hattiesburg for a book event. I happened to mention that I was having a hard time waiting for the sequel. Maybe I mentioned it at length. I knew trouble had to come from Rose Lee Carter’s decision to stay in Mississippi after the Civil Rights Movement began to pick up steam. Linda brought me an advance copy of the new book (which will come out tomorrow on January 2) when she came to pick up her daughter at the University of Southern Mississippi for the holidays. We did talk and have coffee. I saved the book for a car trip the next week, knowing I would not want to be interrupted after Chapter One; Monday, November 1. Rose Lee begins “My grandpa, Papa, used to say that gratitude was the key to happiness. If that was true, I would never be happy.” When Thanksgiving dinner comes, and Rose Lee goes blank and can’t recall a thankful scripture even though the younger children at the table are able to rattle one off, her grandpa’s prediction appears to be correct. Listening to the news of violence, overheard coffee klatch conversations touting separate but equal schools, and arguments among friends who can’t agree whether violence or nonviolence is the answer to their problems leave Rosa, the name her mother gave her that she now prefers, in a quandary. A reason for gratitude will come eventually from an unusual corner. The titles, Midnight Without a Moon followed by A Sky Full of Stars, bring satisfaction but with a hankering to know where Rose will go from here. Now, I’m waiting for book number three! In my review of Midnight, I compared Linda’s work with Roll of Thunder, Hear My Cry, a longtime favorite. As I read A Sky Full of Stars, I realized a difference in perspective that gives even greater authenticity to these two books. Mildred Taylor used her father’s detailed account of growing up in Mississippi to bring reality to her books while Linda’s experience is first hand. Older PostIf You Don't Have a Dream . . .